How Do Freemasons contribute to Charity? Charity is a cornerstone of Freemasonry and, since it was established in 1717, the United Grand Lodge of England has provided help to individual Freemasons and their dependents who were in need, as well as supporting community-wide charitable activities. Additionally, immediate financial aid has been given to those tragically affected by emergencies and disasters and The British Red Cross Tsunami and Earthquake Appeals are recent examples. During the last 25 years alone, more than £72 million has been dedicated to charitable support including over £30 million donated to non-Masonic charities of all sizes working in England and Wales. Which Charities do Freemasons Contribute to? There are four central Masonic Charities under the English Constitution and they provide vital support in many ways, to many people. They rely on the continuing support of Masons to identify those in need and to provide the donations that enable their work to be funded. Every Freemason, no matter what rank or office he holds, is encouraged to be aware of the support that is available from the Masonic Charities. They offer vital assistance to Freemasons, their wives, partners, widows and dependants. The Freemasons’ Grand Charity, providing help for Freemasons and their families who are experiencing hardship. This is a grant making charity, working on behalf of Freemasons under the English Constitution? It was registered in 1981 and continues a commitment to charitable support that began nearly 300 years ago in the earliest days of organised Freemasonry. This supports Freemasons and their dependants who are experiencing hardship (Masonic Relief Grants); non-Masonic charities (national charities serving England and Wales and for emergency relief work world wide i.e. Haiti Earthquake, Tsunami in the Far East; and other Masonic charities. The Royal Masonic Trust for Girls and Boys (RMTGB), providing support that relieves poverty and addresses the educational needs of Freemasons’ children and (when funds permit) assisting any children. The origins of the Royal Masonic Trust for Girls and Boys Trust for Girls and Boys go back as far as 1788 when Chevalier Ruspini established a school for the daughters of deceased and distressed Freemasons. A scheme for clothing and educating the sons of indigent Freemasons was introduced 10 years later in 1798. In 1982 the separate Girls and Boys charities were merged into the Trust to create a single entity. Today the mission of the Trust is to relieve poverty and provide an education and preparation for life for the children of the family of a Freemason (and were funds permit, for any children), as their fathers would have done had they been able so to do. The Royal Masonic Benevolent Institution (RMBI), providing residential, nursing and dementia care for older Freemasons and their dependants, as well as practical support for those who wish to remain in their own homes. Caring for older people — the RMBI founded in 1842 as the “Asylum for Worthy Aged and Decayed Freemasons”, seeks to offer high quality care support and assistance to older Freemasons and their dependants. It is committed to ensuring that the individuals’ right to dignity, respect, choice and control over their own lives is upheld and maintained. The RMBI currently operates 17 residential homes across England and Wales offering a range of high-quality care options, including residential and nursing care, dementia support and respite care. It also provides advice for those who are in difficulty but wish to remain in their own homes. The Masonic Samaritan Fund (MSF), providing grants towards the cost of private medical and dental treatment in situations where there would otherwise be long wait for, or no access to, state-funded treatment. Grants are also available towards the cost of providing respite care. The Masonic Samaritan Fund is a grant-making charity working on behalf of Freemasons in England, Wales and overseas Districts. It was established in 1990 to take over the role of the Samaritan Fund at the Royal Masonic Hospital. 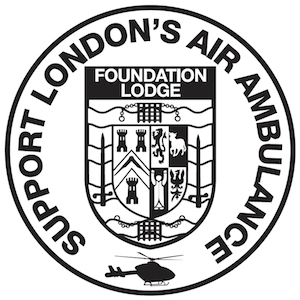 Since the Hospital was closed and sold in 1996 it has been the only central Masonic Charity that funds the provision of medical care and support. The Masonic Samaritan Fund helps those who have an identified medical need; are waiting for treatment on the NHS; and are unable to afford their own private treatment.